With a growing population of over 25,000 residents, Elbert County is located just to the southeast of the Denver metro area in Colorado. Thanks to its easy commute to Denver and its bustling metropolitan area, the County of Elbert is enjoying rapid growth as well as growing expectations from its expanding citizen population. When Dallas Schroeder, the County’s Clerk, realized that the County’s previous agenda and minutes management workflows were generating too much manual work to build, distribute, and publish documents and packets, he helped to lead the transition to the CivicClerk agenda and meeting management solution. 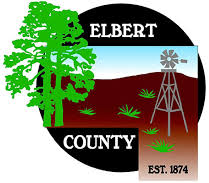 The process to create agendas for meetings in Elbert County is extremely collaborative, which made the need for a transparent, and automated digital solution vital for time management success. Before every meeting, the entire agenda preparation process took Schroeder 60 to 90 minutes. Also, according to Schroeder, the most time-consuming aspect of the agenda creation and preparation process involved creating board packets for commissioners and the public. “Collecting documents from the various departments to put into our packets and post to the website for citizens to access was a time consuming and challenging process,” he said. Schroeder says that he conducted significant research before deciding on CivicClerk. Today, Schroeder reports that some key processes have improved since the implementation of CivicClerk. Schroeder further states that CivicClerk has made communication between Elbert County’s departments easier. Schroeder also appreciates the support of the CivicPlus® Technical Support team. To see for yourself why Elbert County, Colorado chose CivicClerk and its modern functionality, click below to begin a self-guided demo of our robust agenda and meeting management system.